Waiting on Wednesday is a weekly event hosted by Jill at Breaking The Spine, that spotlights forthcoming releases which we're particularly excited about and looking forward to. The movement is all that matters. For as long as Samantha can remember, she’s wanted to be a professional ballerina. She’s lived for perfect pirouettes, sky-high extensions, and soaring leaps across the stage. Then her body betrayed her. The change was gradual. Stealthy. Failed diets. Disapproving looks. Whispers behind her back. The result: crippling anxiety about her appearance, which threatens to crush her dancing dreams entirely. On her dance teacher’s recommendation, Sam is sent to a summer treatment camp for teen artists and athletes who are struggling with mental and emotional obstacles. If she can make progress, she’ll be allowed to attend a crucial ballet intensive. But when asked to open up about her deepest insecurities, secret behaviors, and paralyzing fears to complete strangers, Sam can’t cope. What I really need is a whole new body. Sam see herself as he does—beautiful. But just as she starts to believe that there’s more between them than friendship, disappointing news from home sends her into a tailspin. With her future uncertain and her body against her, will Sam give in to the anxiety that imprisons her? This book sounds like nothing short of amazing! I'm hoping this would be one well-portrayed emotional story that conveys a good message through it. The topics are sure tough. Fingers crossed for the author to have done them justice! What about you? Does this book sound like something YOU would pick up? I'd love to know what you think in the comments below! It definitely sounds good and I'm keeping my fingers well crossed for an amazing read! Sounds emotional, intense and a great story. Hope you enjoy it! Despite being as graceful as a baby elephant on ice, I love books that deal with the ballet world. This one sounds so good, thanks for bringing it to my attention! Oh my this one will bring on the tears for sure. Hope you like it. 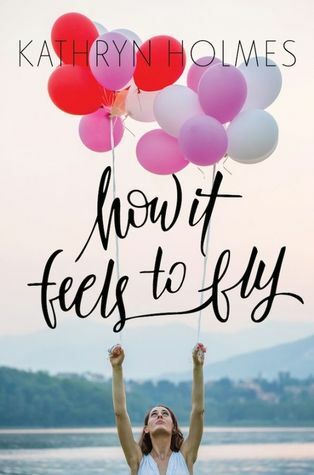 Sure sounds like it would be a tear-jerker- and I LOVE those! I've heard nothing but good things about this one, hope you love it! I've read some stellar reviews for this one- high hopes, high hopes :)) I hope so, too! 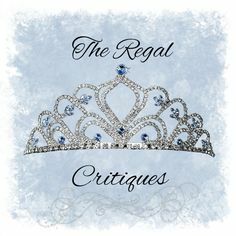 A Whole Year of Being The Regal Critiques!